As the quote above says, “After every storm, if you look hard enough, a rainbow appears”. 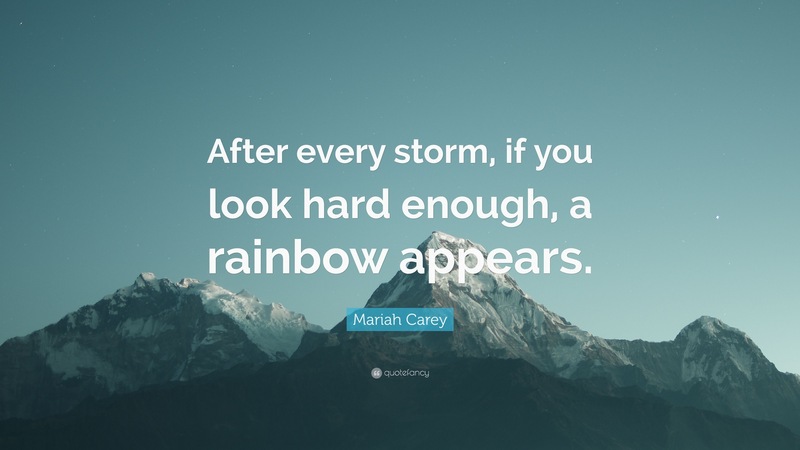 Within the Miscarriage and Baby Loss Community, this saying describes the Storm as the Loss, and the Rainbow as the Baby that follows a Loss, referred to as Rainbow Babies. Readers of our blog will remember that back in January we suffered the devastating loss of our 6th pregnancy. We shared our story here in Miscarriage Counts. The months that followed were extremely difficult. After having 5 babies without any real problems, to suddenly lose the 6th was a huge shock and we had convinced ourselves that that was the end of our baby days. I was diagnosed with Cervical Ectropian during my Smear Test following my miscarriage and was warned that it could affect my fertility. 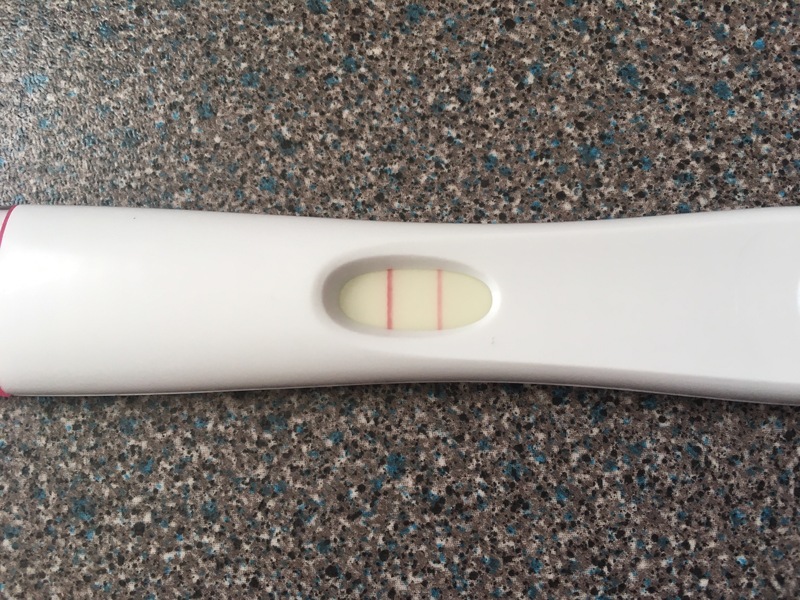 Just as we were starting to come to terms with the idea that there would be no more babies, a miracle happened, a positive pregnancy test! Looking back at this test now, I should’ve realised that something was different. The positive line is so much darker than the control line, usually it’s the other way round. Indicating a higher hormone level. As the weeks passed, I got my second hint, morning sickness. I don’t usually suffer too badly with it. I can count on both hands the amount of times I was physically sick with the older 5 children’s pregnancies. But this time it hit, hard. From around 5 weeks, I haven’t been able to drink tea at all, coffee (albeit decaf) is hit and miss, and even brushing my teeth is an unpleasant experience. I even said to hubby that my hormone levels must be really high this time round. Then at 6 weeks, fear took hold again. I had a small bleed. At exactly the same stage we had lost our 6th pregnancy, we couldn’t help but fear the worst. Yet a small voice inside me told me that this time was different. I remember walking to the Early Pregnancy Clinic thinking, I don’t even have an idea what this baby is. 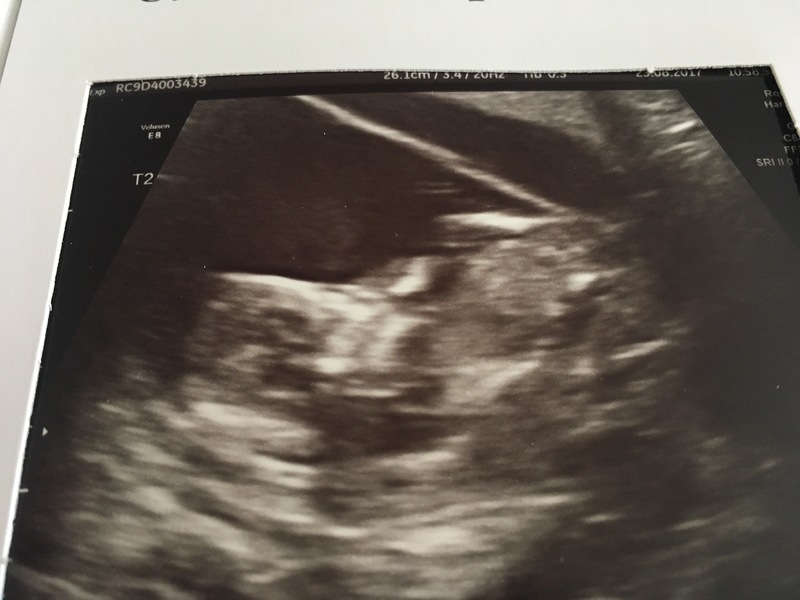 With all of my previous pregnancies, including the 6th, I had a strong feeling of boy or girl very early on, and I’ve never been wrong, so to not have any feeling one way or the other felt strange. Well we would soon find out why. I was terrified walking into that scan room, but just a few seconds in, a quick glance at hubby’s face, told me that this was not like last time. The sonographer turned the screen towards me and said the words I will never ever forget, “You’re not having a miscarriage, you’re actually having twins!” She then went on to show us their beautiful little heartbearts, and even at this early stage, could tell us that they were non-identical. Two babies in two separate sacs with two separate placentas. We were thrilled. 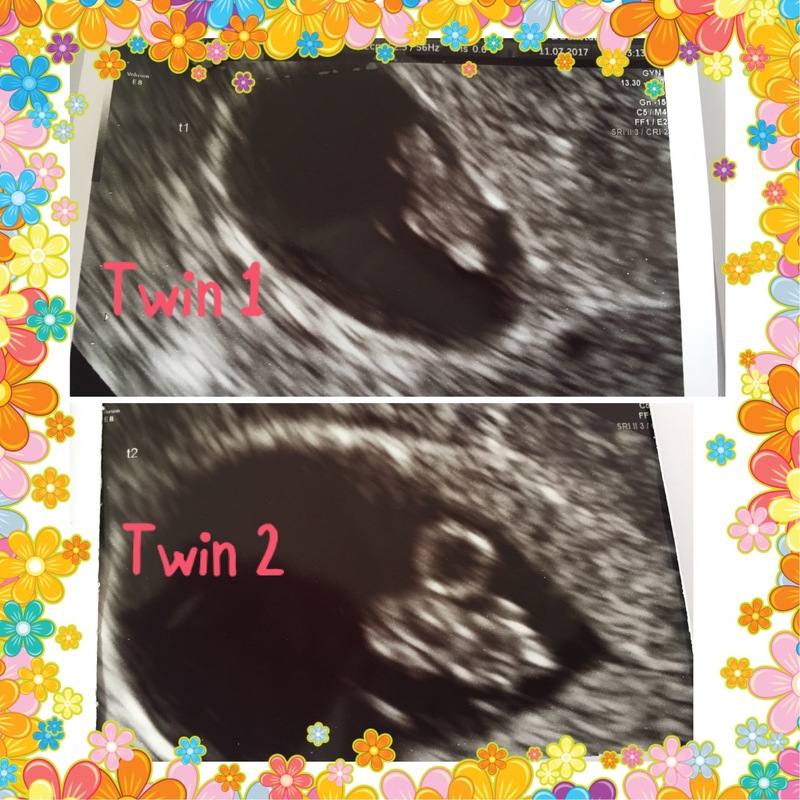 Not only relieved that everything was ok, but overjoyed to be getting a double blessing. And suddenly the darker test line and morning sickness, and even the inability to guess the gender, made complete sense. The bleed had been caused by a small blood clot, underneath twin 2, and over the next few days this simply came away by itself. Another scan a week later showed it to be gone and the babies both still thriving. 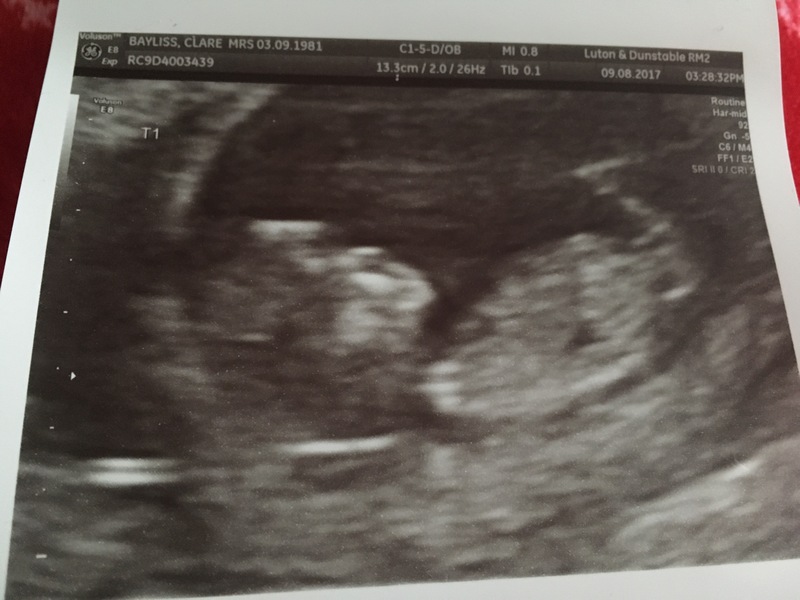 Despite reassurance that seeing the heartbeats at this stage was a very good sign, we decided to keep the news to ourselves for a while longer. At 8 weeks I started getting a bump, a blessing we never thought we’d see again. Then at just under 12 weeks, I was scared to find myself bleeding again. Back to the Early Pregnancy Clinic we went, another scan showed both babies still thriving. Now fully formed, and everything as it should be. The bleed was once again caused by a blood clot, this time above twin 2. As before, it came away by itself over the following few days, heavier than the last one, but, reassured it wasn’t affecting the babies, we decided the time had come to share our wonderful news. 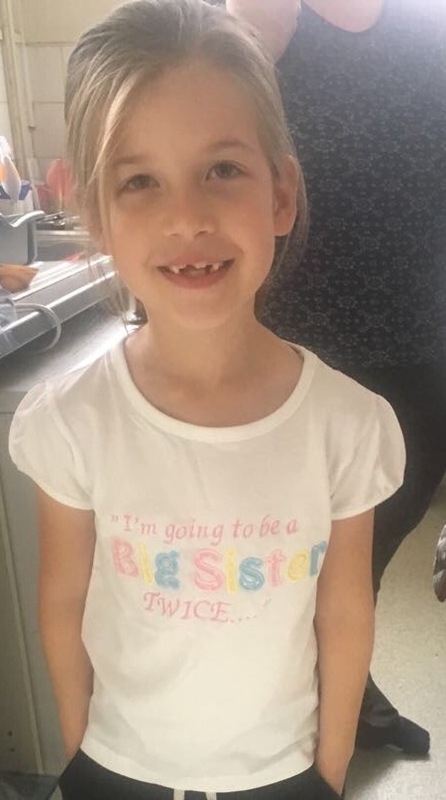 Every since we had found out we were having twins, we had planned how to tell everyone this news, now it was time to put that plan into action. We got this beautiful t-shirt for youngest to wear, and told her not to read what it said until all her siblings were together to read it. 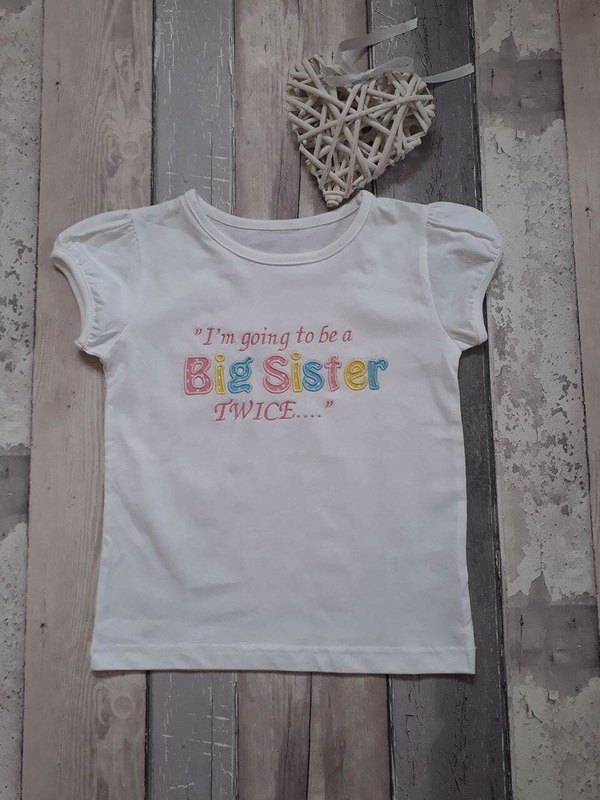 It says “I’m going to be a big sister, TWICE” and was made especially for us by the brilliant Lacies Frills and Embroidery. 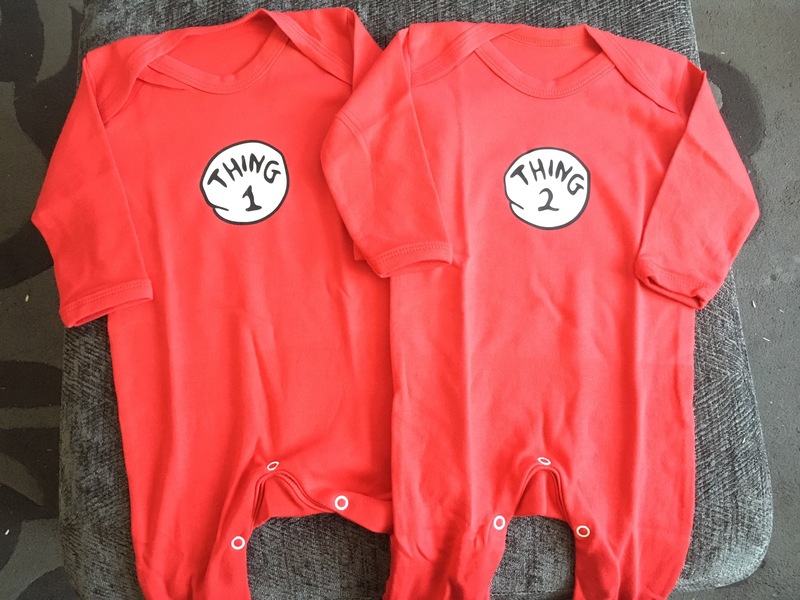 We then handed youngest son a present containing 2 teeny babygrows, Thing 1 and Thing 2. The kids were absolutely thrilled and we shared the video of them finding out with family, then with friends too. Now it’s time to start coming to terms with the fact that we will soon have 7 children! At 13 weeks 5 days, we had our formal Dating Scan. 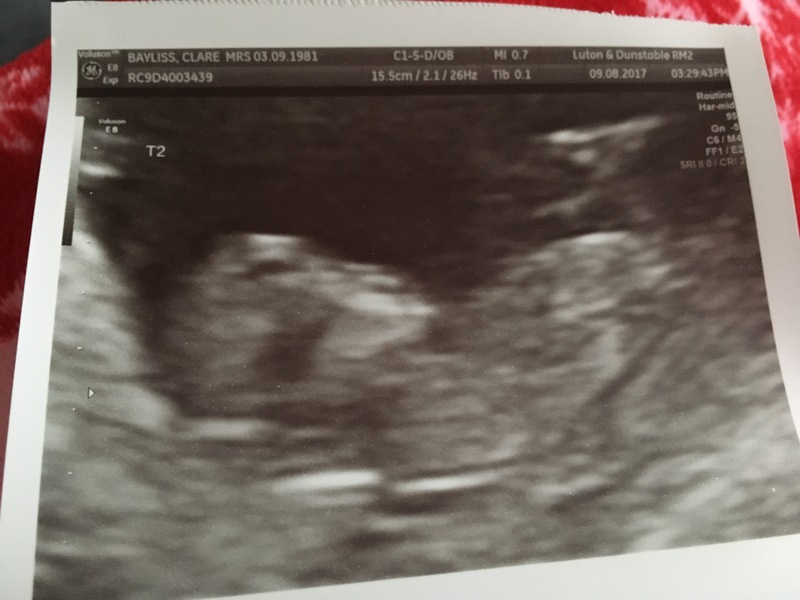 It seemed strange considering this was already our 4th scan, usually it would be the 1st one. 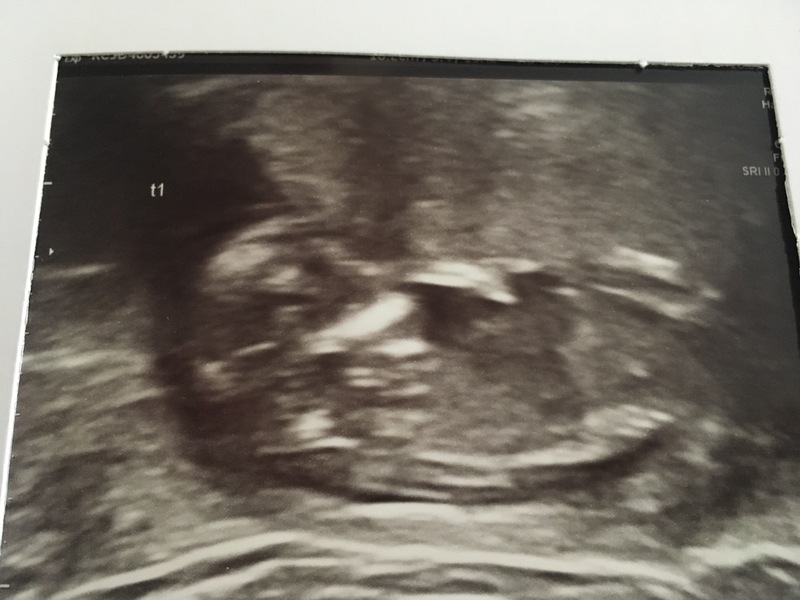 This scan confirmed the twins Due Date of 23rd February 2018, although our Twin Midwife thinks it’ll be more likely end of January/Beginning of February that they are actually born. Both babies are still thriving and doing everything they should be, even if they were being awkward about posing for photos this time! We feel extremely blessed to be expecting our beautiful Rainbow Twins and cannot wait for the chaos they will undoubtedly bring to our lives to begin! Well this is just the best news ever! CONGRATULATIONS. TWICE!